Well .. without further ado, let’s start .. the beginning. There has to be a story right .. but this will be my point of view. For me, it is an extremely useful programming language, easy to learn and a lot of processing. That despite successful applications have not had an application that uses its maximum. And on the other hand, was used in negative ways, with various “hacks” with much spaghetti code, and many logic errors, which among other things, caused her a great reputation as unsafe. What do I need to run php? To run it, you need a web server as apache nginx , lighttpd. A connector, which will make this web server processes the PHP code. And the php package. 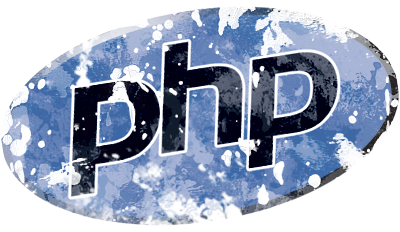 PHP among its facilities, which are many. Can be mixed in half HTML of shell script … Not to get your started in PHP (“get your started” was good! ), With the right foot. Try to separate the most of the php code from other technologies. Obviously this is a pattern that I try to follow, but not necessarily be correct. The PHP does not obligate you in writing a standard code, such as Java, which can be a facility if you know how to use it, or a disaster if not. Do not understand any of the above code right? Take it easy .. explain more below. The server tells you that those lines are php? The delimiter “<? Php" starts the php code and ">” ends. As is common in most languages, the “;” concludes a command. For those who know c or c + + , will realize that there is a great similarity between these languages ? ?with PHP. This occurs because the php is written in C , and based on the same. That way you can control which key, and make direct changes to the array traversed using is key in the proper array . Until next time! In the next post, I will describe some ways to read and write files. Super simple shapes, the classic form of the inherited code in c. And the facilities of php.